If you are looking for an answer to the question “What is coaching?”, this coaching 101 post is going to give you an introduction to the topic: coaching, also called personal training, is a personal and professional development tool for individuals and teams. Though there are many different coaching types, coaching is divided into to main areas: life coaching and professional coaching. In either case, during individual coaching processes the client works together with a coach for a series of sessions to achieve specific goals that are agreed on at the beginning of the coaching relationship. According to the official definition of “What is coaching?” by the International Coach Federation (ICF), coaching is “partnering with clients in a thought-provoking and creative process that inspires them to maximize their personal and professional potential”. What is coaching? And how does it help? Coaching offers a good development tool to achieve challenging goals at important stages of your professional and personal life. As an example, a coach can help you redefine your career or life, help you improve your skill set, overcome obstacles, help you clarify and take difficult decisions, and grow as a leader, professional and person developing deep self-knowledge and self-awareness. In interactive conversations, you will dive for answers to some fundamental questions related to your goals during the first stage of the coaching process: as examples, you might face questions such as What do you really want?, what are your most important personal values?, what unconscious processes impede your attempts to achieve your goal? or which beliefs and behaviors detract you from getting where you want to go?. With a new self-consciousness in place, coachee (this is what coaching clients are called) and coach explore different options to achieve the expected outcome. As a final step, thee coaching helps the client to chose the preferred alternative and initiate the corresponding actions. 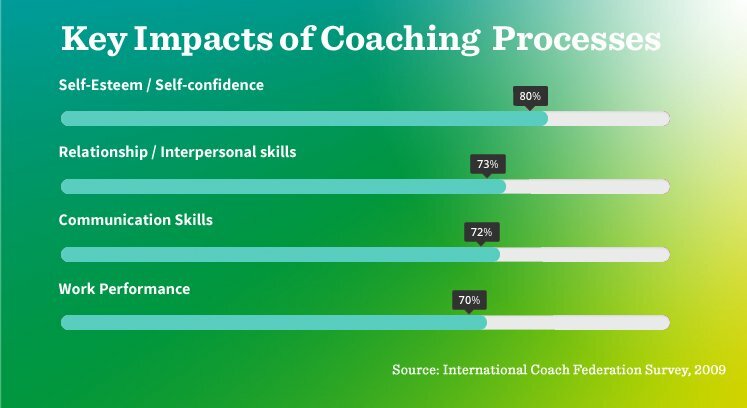 According to a representative ICF survey among 2000 coachees, coaching helped the participants improving their self-esteem and self-consciousness (80%), their relationship and interpersonal skills (73%), their communication skills (72%), and their work performance (70%). Generally speaking, any person can get benefits out of a coaching process. Even famous business leaders such as Bill Gates (Microsoft/Gates Foundation) or Eric Schmidt (Google) publicly recommended to work with a coach. According to Schmidt, “every famous athlete, every famous performer has somebody who’s a coach. Somebody who can watch what they’re doing and say, ‘Is that what you really meant? Did you really do that?’ They can give them perspective. The one thing people are never good at is seeing as others see them”. If you feel comfortable going ahead, take into account that not all coaches are alike. Depending on your goals, you might want to work with a coach specialized in your field of interest. The range is broad and goes from life coaching and business coaching to executive coaching, leadership coaching, coaching for athletes, coaching for parents, and even some people offer coaching for your household. At Shine Coaching, we are specialized on developing leadership competencies of executives, business owners and entrepreneurs to a next level. We use the US-american Co-active Coaching model, which uses a client’s intellectual, emotional and corporal intelligence in order to tap into his/her full leadership potential.